You win when the falling price reaches your offer if there is quantity remaining. Offers can't be cancelled or reduced, but you can increase your offer to buy the item as the price falls. Sorry, this auction is over. You can check out our other free fall auctions here. 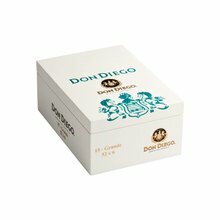 Don Diego Robusto, packaged in box of 15, is one of the most popular mellow cigars in the world. 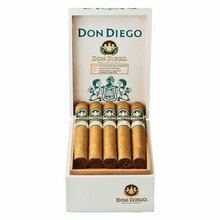 These cedar wrapped beauties have a distinct, rich creamy taste that its loyal fans have loved for decades. 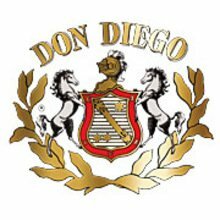 Make a note, the next time you order cigars online; be sure to add these gems to your cart. Sorry, this auction is over. Try again next time! There was a problem with your offer! A problem has occurred. Please reload the page. You have already submitted a higher offer. You may increase your offer but not decrease it. Your offer was lower than the minimum offer price! Please make a higher offer. You have entered a quantity greater than the total available items. 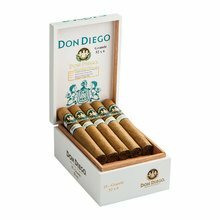 Your bid for boxes of Robusto at $ per box is confirmed and will be added to your cart if your bid is successful.